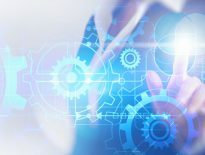 Home » Articles » SOLIDWORKS 2019 is here – which great features do we get for SOLIDWORKS this time? It’s one of the best times of the year when the new version of SOLIDWORKS is released. 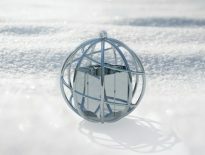 This year, as usual, the SOLIDWORKS team has made a great job with SOLIDWORKS 2019. 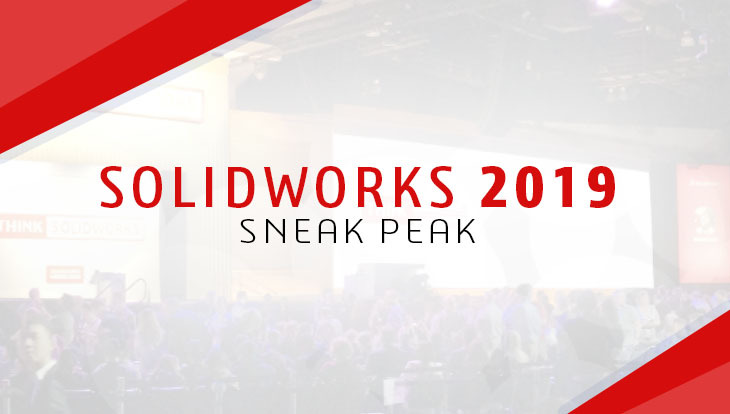 We already have seen some sneak peeks about the new release in the SOLIDWORKS 2019 Beta version. 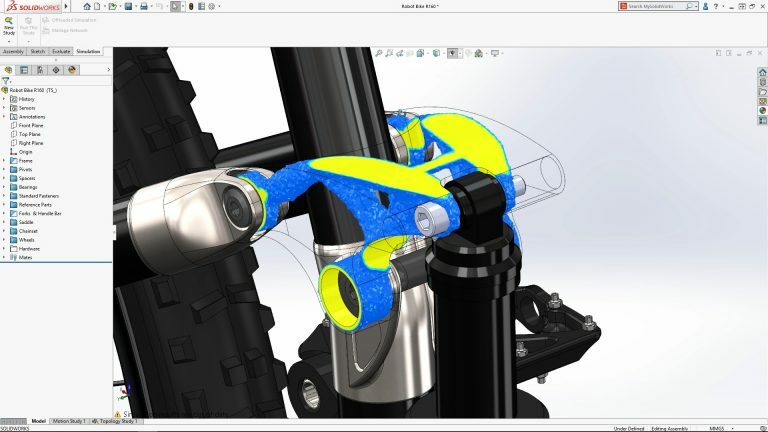 Large assemblies – SOLIDWORKS 2019 brings unseen speed with large assembly work. There is a remarkable difference in working with large assemblies with the new version, and as time equals money in design work, this will definitely be our top feature! Sheet metal – SOLIDWORKS 2019 brings enhancements to the Tab and Slot tool, for example default through all cuts for slots. Also, when assigning a custom material to a sheet metal part, the sheet metal parameters can be linked directly to the material (for example K factor and thickness). Material changes are also automatically updated into the sheet metal parameters. These are just a few of the new improvements regarding sheet metal. SOLIDWORKS Simulation – Topology Optimization function includes Stress and Frequency constraints/goals which help in optimizing parts. Extended Reality (XR) – SOLIDWORKS Augmented and Virtual Reality (AR/VR) has got a new, simplified option to experience the design work. It is called Extended Reality (XR). 3D Markup – Happy news for those who use pen/touch! You can now directly draw on the 3D model and share your ideas. 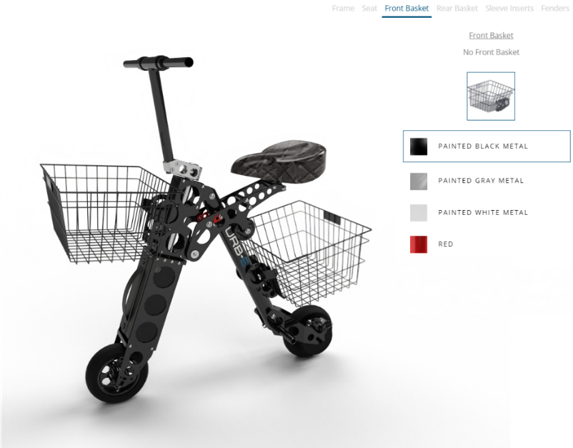 SOLIDWORKS Sell – Configuring and rendering products during the development process is possible with SOLIDWORKS Sell cloud-based configurator. It can be used on any device to your design work. It also uses AR for better observation. New tools in part modeling – For multi-body parts, SOLIDWORKS 2019 includes Partial Fillet and Chamfer and interference detection. Touch user interface – Improvements in many areas, such as sketch recognition for splines and slots. Microsoft Surface Dial is also supported in SOLIDWORKS 2019. There are also some improvements in SOLIDWORKS Composer, SOLIDWORKS CAM and SOLIDWORKS Inspection. What are these? Come and hear at our Launch events! Have you already signed up for our Launch event? If not, check the list of our locations and sign up here. We are excited about sharing the new features with you as well, so if you are having some challenges in coming to our beautiful launch venue, you can of course follow us online through our livestreaming option!